The CARICOM Secretariat in collaboration with the St. Lucia National Reparations Commission (NRC) will be hosting three reparations themed events in observance of October as Creole Heritage Month. The first event is a National Youth Forum on Friday October 28, which is celebrated as World Creole Day, observed every October 28 by the many countries worldwide where the same French-based Creole (Kwéyol) is spoken. The main speaker at the Youth Forum will be Vladimir Lucien, a well-known St. Lucian writer and poet. Under the theme ‘No Development Without Justice – Reparations For Us All!’ the NRC will also host a CARICOM Reparations Baton Relay and a related Youth Rally on Saturday, October 29, in Castries. The events are in keeping with the CARICOM decision that each Member State hosts a Reparations Youth Rally, Relay and Forum, specifically targeted at Youth, to help anchor the Reparations cause in the minds of tomorrow’s people. The Saint Lucia events are listed on the official schedule and calendar for the 2016 Kwèyol Heritage Month. Ahead of the rally, the Saint Lucia Ministry of Education and Innovation approved a series of Secondary School Lectures to precede and follow the October events. The NRC and a National Preparatory Committee (NPC) comprising stakeholders have been working with the Office of the Prime Minister, the Folk Research Centre (FRC) and the Castries City Council (CCC) to make the last Saturday before Jounen Kwèyol a special Kwèyol Saturday in Castries for the youth to remember. 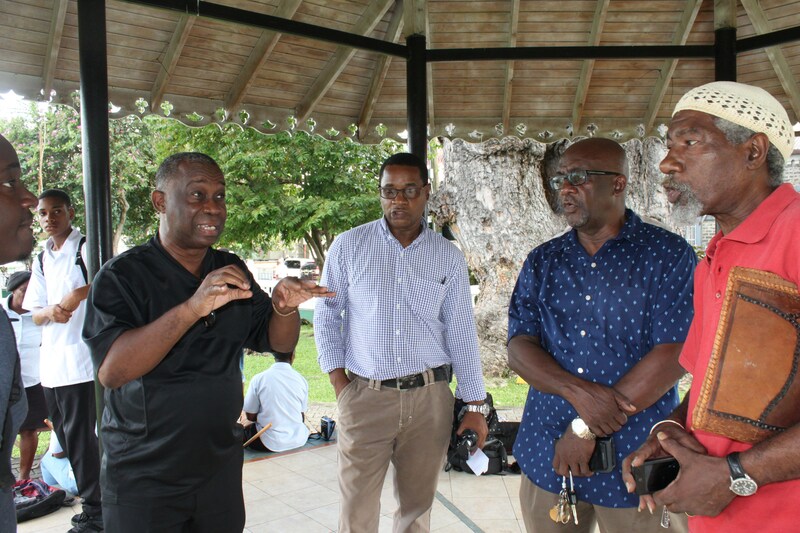 It is planned that this will be the first in an annual series of similar activities, with the Relay, Rally and Forum to be held in different parts of the island each year and making use of the Saint Lucia Reparations Baton to keep it alive from year to year. Similar rallies have already been held in Barbados, Guyana and Suriname and most recently in Antigua and Barbuda earlier in October.